"In my 3 months I lost 6.8kg and 15 inches. Five and a half of those came off my belly! It's not til I see my before and after pictures that I really notice a difference. I feel"
‘I heard about Sustain Nutrition not long after I’d finished The Body Coach. Kinda wish I’d heard about Joe and James plan first though as it was far simpler to stick to. No more weighing of food, which for me wasn’t sustainable nor was the constant batch cooking! 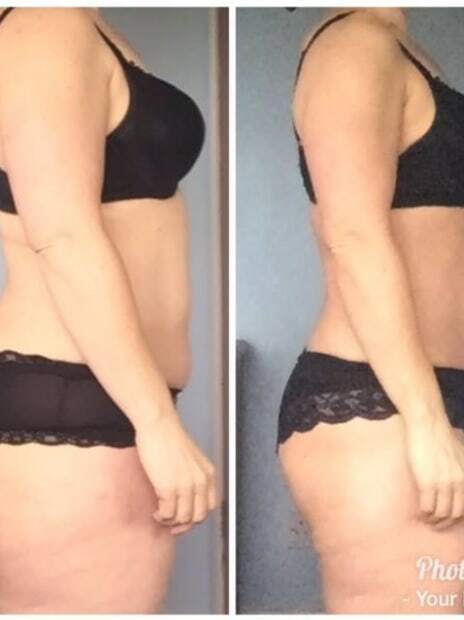 So this plan was like night and day, to the extent I almost felt like I was cheating and wondered how on earth I’d even lose any weight… however I did and I’m more than chuffed with the results. In the first month I had a weekend away and did my best to stick to the commandments, I did gain a little bit but I didn’t go cray cray like I normally would have done in the past!